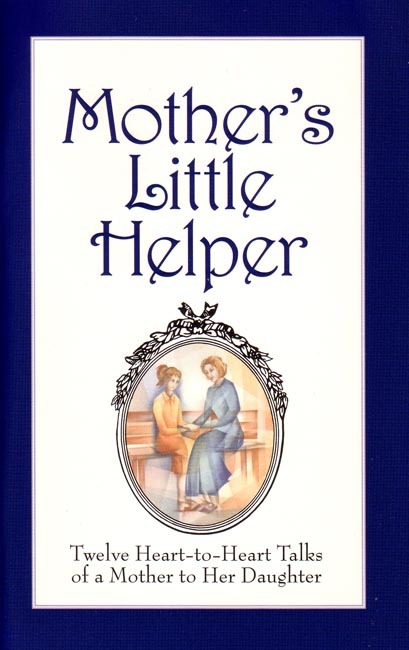 The subtitle of this book of 77 pages is Twelve Heart to Heart Talks of a Mother to Her Daughter, on the Facts of Life. The book is divided into three parts. The first is to be read by mothers and discussed with their daughters from 9 to 13 years old; Part Two is for daughters from 13 to 15; and Part Three is for daughters from 16 to 18. It is geared more to the homeschooling family than for children who have been exposed to so much in the public and parochial schools. The presentation is very loving and gentle, as well as permeated with references to Jesus and Mary. 77 pp.